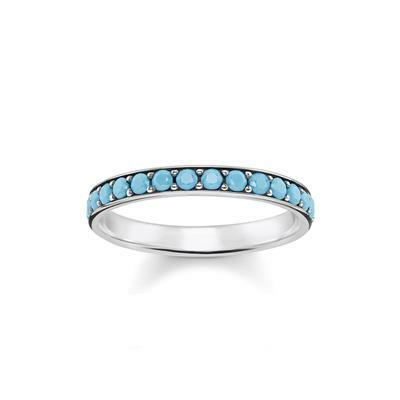 The Thomas Sabo Silver and Turquoise Ring Size 60 features a slim band design. The ring is embellished with Turquoise stones, all of the way around the band. It is a perfect ring for stacking with others alike. This Thomas Sabo ring would be a perfect gift for her.